Erin E. Masters is the principal of Masters Law Group, located in Chicago, Illinois. The firm handles family law matters in Cook County and surrounding counties. Masters Law Group concentrates in area of domestic relations, which includes divorce, custody, child support and related family matters. Ms. Masters received her Juris Doctorate and Certificate in Child and Family Law from Loyola University of Chicago, School of Law, in May of 2004. While in law school, she clerked at a family law firm which she later joined as an associate attorney following graduation. Ms. Masters earned her Bachelors of Arts degree in Psychology from the University of California, San Diego, where she attended on a merit based scholarship, was a member of the Athlete Honor Roll, a participant of the NCAA Division II Track and Field Team and graduated in three (3) years with Provost’s Honors. Throughout her career Ms. Masters has represented a variety of clients, both predecree and postdecree. Additionally she has prepared Prenuptial Agreements, drafted Marital Settlement Agreements and Final Custody Orders, as well as prosecuted and defended Orders of Protection. Ms. Masters has also successfully litigated matters concerning modification and enforcement of child support, custody and visitation. In addition to representing clients, Ms. Masters is also a court-appointed Child Representative and has experience advocating for children in these high-conflict matters. Further, she has also been appointed by the Circuit Court of Cook County to mediate complex family law cases. 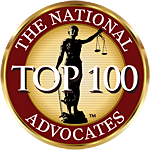 Masters Law Group recognizes that your family law matter is unique to you and your family. Our goal is to work with and represent our clients by providing personalized services and attention to obtain the best possible outcome for your family.